A stealthy fox crouches low in the wildflowers. His intense focus is evident at a glance, but his motives are far less obvious. Like many of the creatures that dwell in the forest much of his existence remains discreet. Is he hiding himself or is he in pursuit of his next meal? Please choose a chain length. 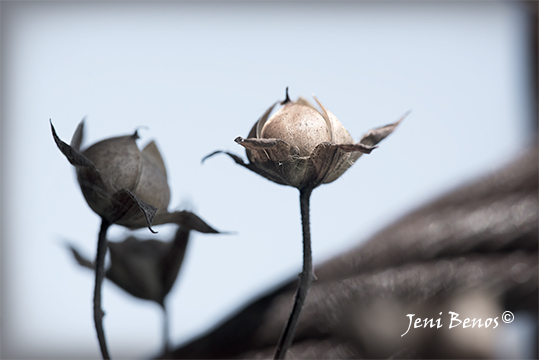 Jeni Benos continues to explore the natural world and its cunning inhabitants through her latest jewelry design, Artfully Elusive. 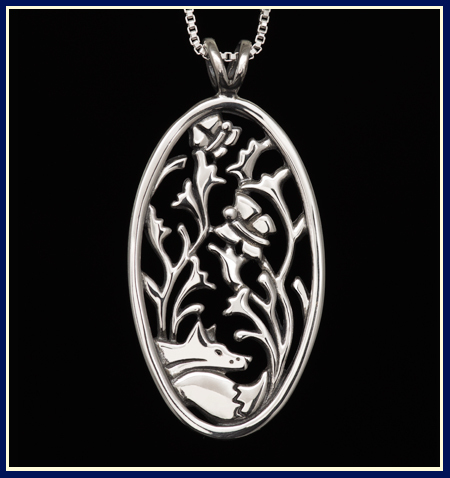 This sterling silver pendant is quite dynamic in both its concept and artistry. 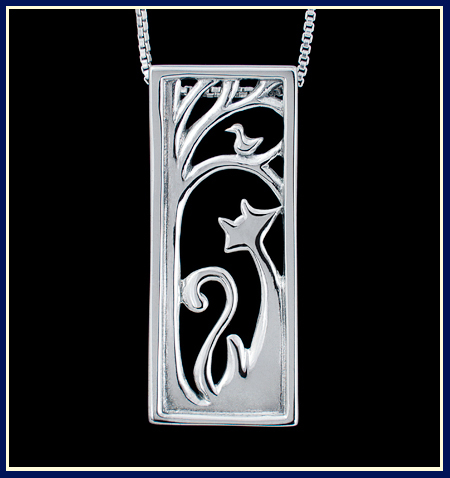 The expressive fox gives the design life and emotion, while the shape and pattern offer a serene air. 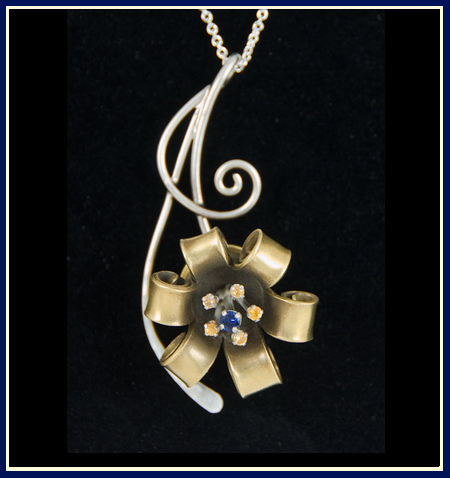 Two joyful butterflies dance among morning glory flowers adding lightness and jubilance to the necklace. 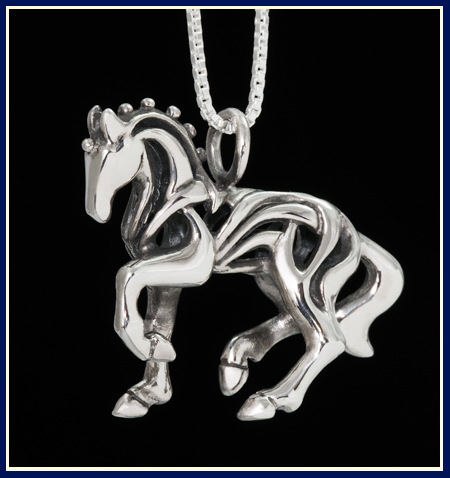 This sterling silver pendant took approximately seventy hours of hand carving work on the original model to be molded. Jeni does not always time her carvings; many are created over several months and frequently alongside many other projects. Artfully Elusive, however, had a deadline which made Jeni quite aware of exactly how long the model work took. Model work is intensely time consuming and the delicate nature of carving wax requires a gentle touch and extremely sharp tools. As a true perfectionist, Jeni will never settle for subpar craftsmanship and will take all the time necessary to fulfill her artistic vision. 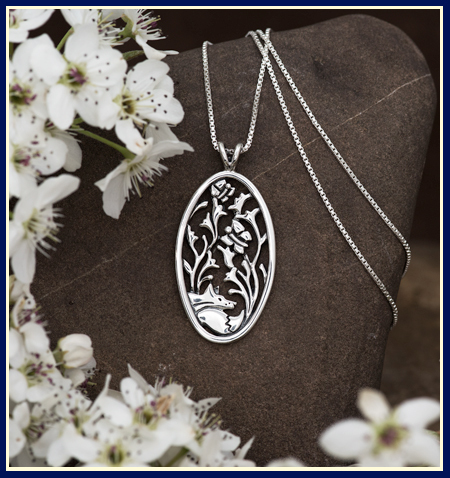 Artfully elusive is the perfect piece for anyone with an appreciation for the natural world and the mystique of the fox!